This new EP is definitely marked by a fierce confessional vulnerability and a wintry sense of melancholy, with more concentration on layered vocals and acoustic instrumentation. Boado reveals both her strength and fragility all at once, she takes on the trials of being human and turns it into an emotionally intense display of reflection, perseverance and the struggles of faith. “On The Waters” is a brilliant introduction that washes you into the mood of the record and literally sounds like a new beginning, while “Build This House” clocks in at just over a minute it may be one of the most impactful for its simplicity. “Still Beating” is a dreamy number of holding on through heartbreak, “Hibernate” speaks of the classic conflict between men and women in long term love in a search for true intimacy, this is accented by ethereal harmonies and perfect, selective percussion (you can listen to it below). “Ready For Spring” continues that metaphor and poetically so, after all, once in hibernation you must be necessarily waiting for Spring and ready for it when it arrives. The transcendent epic finale is filled with conflicts of faith and hope in”Where Is God” with floating harmonies, pounding drums that come in half way through, it becomes an amazing pocket symphony in the end, There is nothing here that is as hook heavy like “You Got Something” as on her previous releases, but this girl has soul and digs deep, this is more an EP to swoon to rather than swing to in all honesty. And that is just fine for me and once more proves that Ree’s voice can be powerful in nearly any setting under any circumstances in any style. 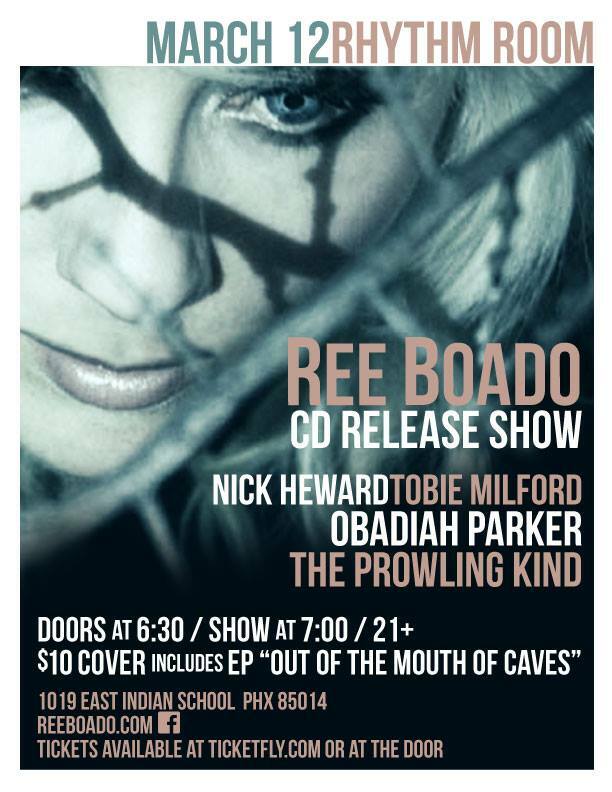 I urge you to head to the Rhythm Room this Wednesday, March 12th at 6:30 PM to experience a night of stories and song for this EP release with Nick Heward, Obadiah Parker, The Prowling Kind and Tobie Milford. Tickets will be available at the door for $10 and with that you get your own copy of the EP. Ree will have a full band with her, including back up singers and a cellist! There will also be free homemade cookies! Cookies! Seriously, this will be an unusual and magical night that promises to be rewarding in no uncertain terms.